Can fillings be linked to an increase in the chance of decay? I recently read an article in the Telegraph that fillings could do more harm than good. The research, published in the Journal of Dentistry, showed some dentists are more likely than others to have patients who develop new decay after a filling. Fillings are used to restore teeth that have been affected by tooth decay. The filling material which may be used may range from porcelain, silver amalgam, and gold for example. Carrying out a filling is a straight forward procedure and dentists routinely carry out fillings on individuals. The research that was published in the Journal of Dentistry found that six out of ten teeth alongside fillings suffered decay after five years, with nearly a third of those then needing a filling themselves. 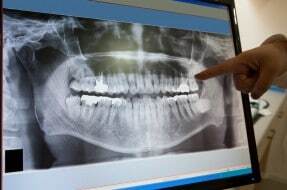 However, dentists stressed that fillings should be continued to be used to treat decay and have suggested that the technique used by a dentist is a key factor. The research also highlighted that patients need to take measures to take care after a filling and ensuring that they maintain good oral hygiene. In order to avoid needing a filling in the first place, it is necessary to ensure that you reduce the risk of developing tooth decay. – Brushing your teeth, twice a day for 2 minutes. – Attending regular dental check-ups. In the Dental Negligence Team we see many cases, where our clients have been provided with poor fillings. The dentist may fail to carry out a filling, which means the tooth needs a root canal treatment, a crown or requires extraction. We also often see cases where fillings continue to fall out or cause gaps enabling further decay to form and the person suffering severe toothache. Large fillings can also weaken the tooth and also make it difficult to clean around the filling, which means further decay develops. Damage can also be caused to neighbouring tooth, during the dentist carrying out a filling. In order to avoid fillings, people should ensure that they maintain good oral hygiene. However, if after having a filling, further problems are caused as a result, this may give rise to a claim. Please feel free to contact us if you wish to discuss a potential claim.